Mufasa is a white lion. There are less than 300 of his kind left in the world, of which only 13 exist in the wild. Mufasa was confiscated by law enforcement and handed to a wildlife rehabilitation centre to be cared for. The rehab centre acquired a second cub Suraya, as a companion for Mufasa. Mufasa and Suraya are now three years old and are inseparable. 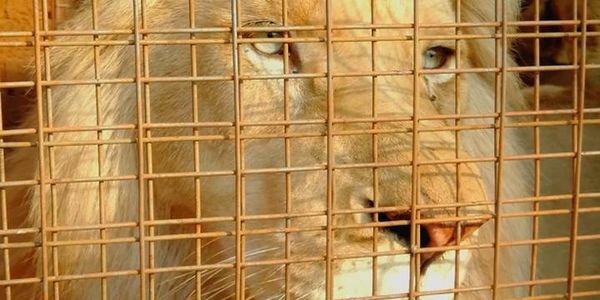 Nature conservation officials refused permission for Mufasa to be relocated to a sanctuary, who offered to care for both Mufasa and Suraya for their natural lives, free of charge. Instead, the rehab centre was told telephonically that Mufasa will be auctioned to raise funds for the department. We ask you to sign our petition, asking for both Mufasa and Suraya to be donated to a sanctuary chosen by the people who took care of them for the past three years, to prevent them from being exploited. The Honourable Member of the Executive Counsil, Department of Rural Environmental and Agricultural Development, North west South Africa. We hereby petition you to review the decision of the Northwest Department of Rural, Environment and Agricultural development (READ) to refuse a relocation permit for Mufasa and to grant a permit only for the lioness who has been Mufasa's companion for almost three years. 1) Mufasa has had a vasectomy and is no longer able to breed and is therefore of no interest to a breeder. The only commercial value he has, is to be hunted in a put and chase hunt, otherwise known as a canned hunt. 2) Mufasa and Suraya have formed an inseparable bond. If the two are separated, both will suffer trauma and stress. a. As a point of departure the confiscating authority should consider releasing the specimen in the wild. b. If that is not feasible and there is space available in non-commercial captive facility (e.g. a lifetime-care facility) the confiscating authority should execute an agreement and transfer the animal. 4) Mufasa is a text book case of the above and we believe it will be a transgression of both the spirit and the fabric of CITES to treat him otherwise. 5) There are no other suitable sanctuaries in the North west province that are able to care for both lions and the best practical nvironmental option in the interest of the welfare of the two lions are to be released to Sanwild. We therefor petition you to intervene and to authorise the relocation permit for both lions to Sanwild. Dear Mufasa Supporter. Thank you for signing our petition but we still need more support as our legal battle is far from over. We tried to reason with government and even tried to buy Mufasa, but no luck. They still want to take Mufasa. We refuse to give him up as we will make sure that this is one lion that will not become a trophy. We also hope that eveybody who sees the new Lion King movie will remember that there is a real Mufasa out here, waiting for his freedom. Please share, share, share. Thank you for your support. Together we are making a difference. We are 500 votes away from our goal. Please keep on sharing. Re Mufasa the white lion. Thank you for your support in our cause. Both Mufasa and Suraya is alive and ding well. Nature Conservation is coming to inspect them on August 6th. All our hopes are on a positive outcome.